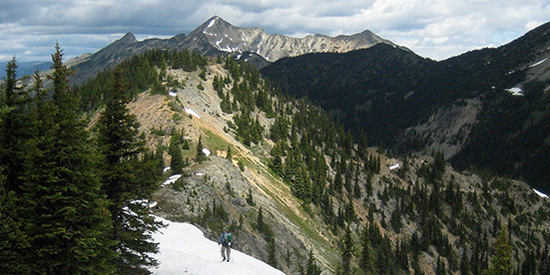 Every spring a new set of Pacific Crest Trail hikers set out with the goal to hike the whole thing. Thru-hikers. 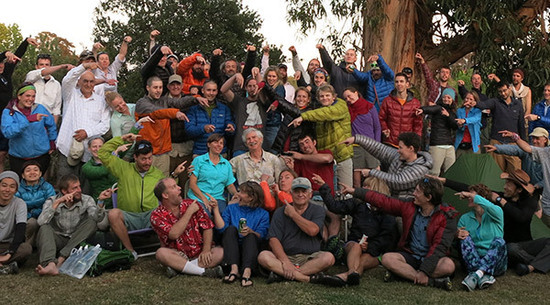 We've now hosted starting PCT hikers in our home for eleven seasons. Over 2500 have stayed with us so far. We’ve hosted hikers in San Diego the past ten years. Over 325 stayed with us last year. We’ll pick you up, give you a place to stay, and get you out to the trailhead. We enjoy helping you start on your adventure. We thru-hiked in 2007 (www.trailjournals.com/mann). We are in the fortunate position of not needing to charge money for hosting hikers; we do not even accept donations. We do encourage hikers to join the PCTA if they are not already members. If you appreciate our help, you can buy a copy of Scout’s book when it is published. Airport: We live about 11 miles north of the airport, 20 minutes by car. Train: Ask us whether you should arrive at the Solana Beach station or the downtown station. It depends on whether we’re making an airport run at the same time. Bus: The Greyhound Bus station is located downtown, 15 miles away, fairly near the airport. Grocery Stores: Two grocery stores are just over 1/2 mile away, one a Von's and the other is Sprouts, a natural-foods market. Post Office: Next to Sprouts Market. Mailing/Shipping: Feel free to have gear shipped here or to mail packs or packages here and we will hold them for your arrival. Have both your and our name on the package. (See address above.) We will also have boxes available if you need to ship things ahead or back home. Fuel: 2014 and 2015 were severe drought years and alcohol stoves were discouraged, to protect the wildlands. We no longer provide alcohol here. Canister stoves are generally safer and easy to use. We will have canisters available for purchase at cost. Marijuana: We believe in live and let live, but there’s a mandatory border checkpoint on our drive back from the trailhead. Once, one of our drivers was detained for an hour as his vehicle was searched because the dogs smelled pot. Please don’t plan to carry any pot in any of our vehicles. Meals: Generally we'll provide breakfast and dinner, with leftovers or sandwich fixings for lunch. Often hikers staying with other San Diego hosts join us for a communal dinner. Let us know if you are vegetarian (and if fish is okay), vegan, gluten-intolerant, lactose-intolerant, etc. Trip to Campo/Southern Terminus: We leave at 6:00 a.m., to arrive at the border monument shortly after sunrise. The drive takes about 75 minutes. Arrival: Make sure we have the flight info for the flight that ARRIVES in San Diego. If you change planes somewhere we assume you’ll call if you miss your connection. At the airport, we will pick you up at Terminal 1, curbside Section H or Terminal 2, Section P. At the bus and train stations we usually meet hikers at the curb. Luggage/Duffel Bag: Protect that pack. Most folks either pack everything in a duffel they can ship home, or hit the Thrift shop for cheap luggage they can ditch here. If you are going by Greyhound make sure you actually see your pack make each transfer. In 2006 Sunset's pack stayed in Tennessee. This is typical of emails to us and what we send back. My name is Casey, i’m a 20yo from Perth, Western Australia, and am planning a NOBO thru hike of the PCT! I am due to be in San Diego on Wednesday 6th April 2016; my plan being to sort out food, bounce box etc. over the next few days before heading out to Campo around 9-11th. By starting around this time I hope to beat some of the thaw and the larger crowds (while I also turn 21 on the 10th, which seems a perfectly corny and cliché way to start a 5 month hike). And thanks for all the hard work you do. We will definitely be hosting hikers in 2016, and we will be happy to help you. I have pasted in below the information we provide to hikers who contact us. Please read it, as it will answer most of your questions. We typically have 5 to 25 hikers each night, so don’t expect a solitary experience here. Usually, hikers from overseas stay with us two to four nights. If you need to stay longer, please let us know. We will start our hiker spreadsheet once permit reservations can be made. Once you have your permit reservation, please email us and we will send you a link to a google form for you to fill out. We look forward to hearing from you, and good luck with all your preparations!